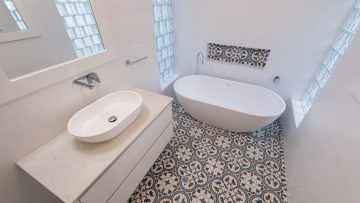 Superior kitchen, bathroom and laundry renovations and design. 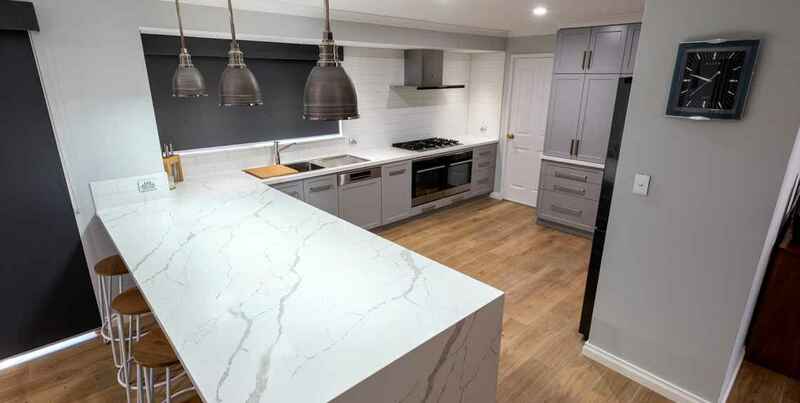 Veejay’s is one of Perth’s leading home renovation companies, offering high-quality, beautifully crafted kitchen, bathroom and laundry renovations. 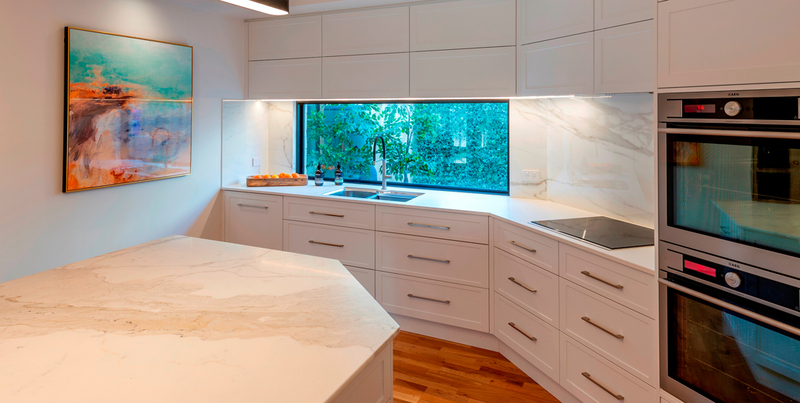 Whether you are after a sleek and modern kitchen design or a luxurious bathroom renovation, complete with state of the art contemporary fittings, we can turn your dreams into reality. 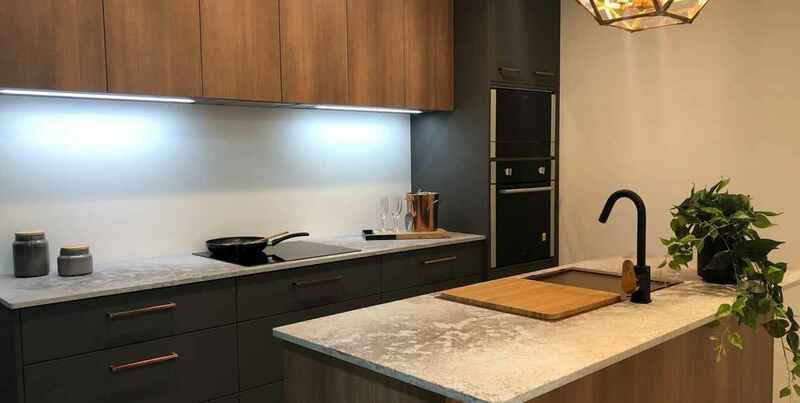 Our showroom in Perth is one of the largest home renovation product showcases in Australia, with full-sized bathrooms and kitchens, complete with luxury fittings, on display for you to enjoy. We also have a room dedicated to colour selection, with large samples allowing you to easily mix and match and find exactly what you are looking for to suit both your home and your style. You can view our gallery with a number of images and videos to get a clear idea of what we offer. Our consultants are happy to come inspect your home for house renovations, offering expert advice and a no-obligation quote. If photographs and videos aren’t enough, you can read testimonials from some of our satisfied clients. Kick-start your home renovations by contacting us today to arrange a visit from one of our consultants. We’ll take the hassle out of remodelling your home, making it a fun and enjoyable experience. 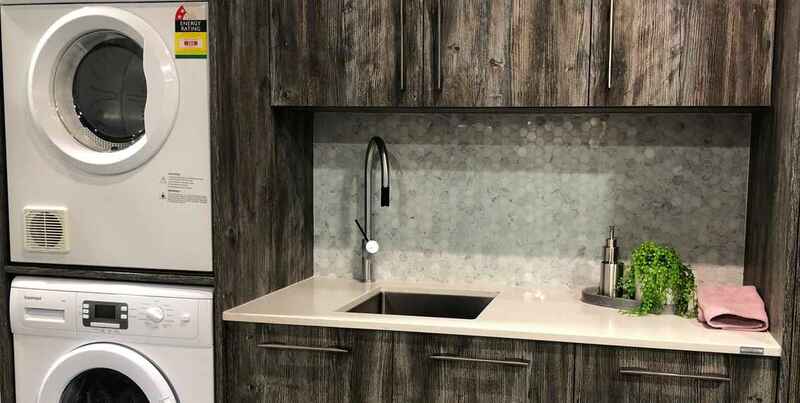 Are you tired of looking at your old dull kitchen? 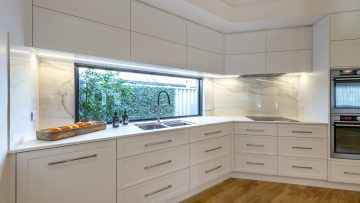 Contact us for modern kitchen designs that will give your home a new lease of life. A new kitchen will inspire and invigorate you, creating a space you will want to spend more time in. Your dream kitchen will be the envy of all your family and friends, and become the social hub of your home. 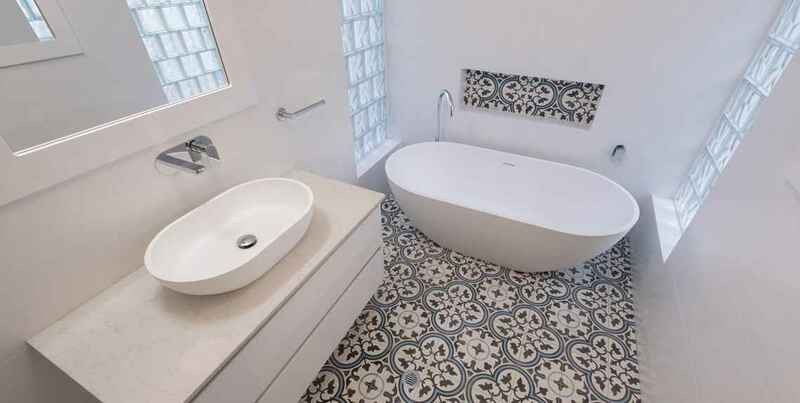 Give your bathroom a complete bathroom renovation. 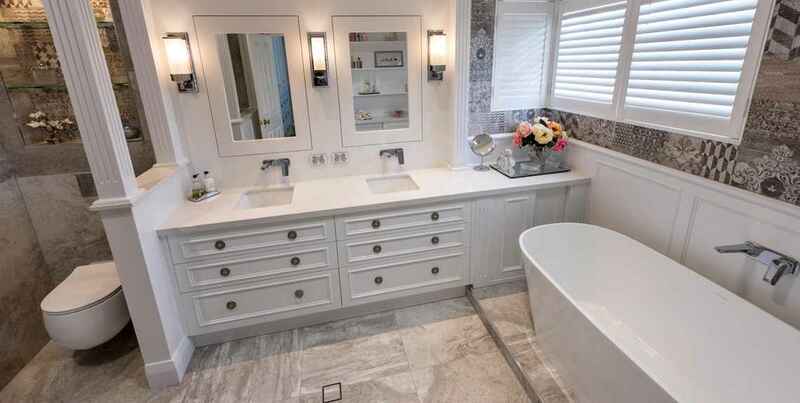 Whether you’re after a small bathroom renovation or a modern stylish makeover, a clever use of limited space, intelligent design and creative thinking, will turn your new bathroom idea into a functional and luxurious space your family will enjoy for many years to come. Your laundry is probably the most neglected room in your Perth home. No worries, with our expert laundry renovations, clever laundry designs and custom built cabinetry, your storage capacity can be doubled, ensuring that all space is optimally utilised, making this a pleasant and comfortable place to work. 5-year guarantee on all workmanship. We have been renovating kitchens , bathrooms and laundries for close to 25 years, and have won numerous awards in the process. Investing in a qualified proffesional will ensure the renovation process is smooth and enjoyable. 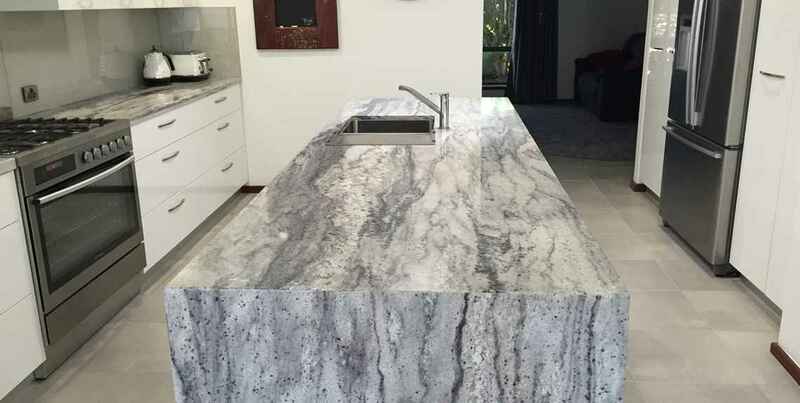 Contact us for an obligation free quote, design and consultation – we provide a 5-year guarantee on all workmanship. Are you time poor ? 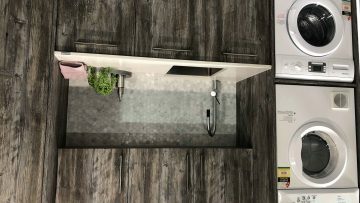 Looking for a company who can design , build and manage your kitchen , bathroom or your entire home from start to finish? Veejay's Renovation have a fully qualified design team to help you visualise your dream renovation. Kitchens , Bathrooms , Laundries, it's all here, so come and visit our award winning showroom, with everything you need to inspire you to start your renovation project. 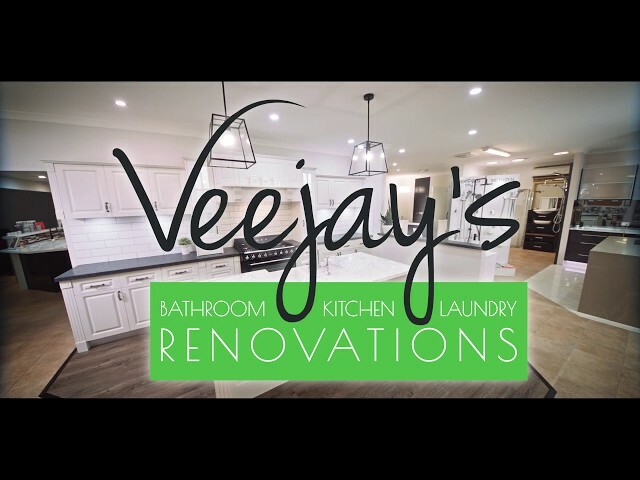 Veejay's Renovations are specialist in all areas of your home renovations ,including Kitchen, Bathroom and Laundries,quoting and scheduling all Trades required from start to finish. A free in home consultation with a designer is just the start of our great service. Get inspired with some great ideas and professional advise in our Award winning showroom, you will be able to view some of the latest products which will give you some inspiration to start your project, come in and have a chat to one of our talented team....... it's all FREE!!!!! As they say " Life doesn't get better by chance, it gets better by change"
After speaking to my friend who had renovated with Veejay's and was happy with her job ,I then visited the website and showroom, both were very good. Another happy Veejay's client for 2018 ! !